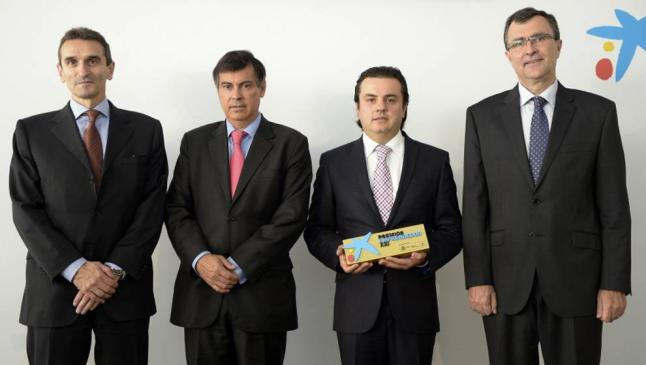 La Caixa recognizes Symborg with the highest honor in Spain for entrepreneurship. Symborg has been given the award, specifically, in industrial innovation and sustainability by developing unique biofertilizers for intensive agricultural. “The most important thing is the recognition that comes with this award” explains Jesús Juárez (CEO) in his interview with the newspaper, La Verdad. Symborg stood out among the finalists in Spain in the category ‘ industrial innovation and sustainability’, for up-coming companies showing promising signs of growth and expansion. As part of the selection process, Symborg won a scholarship to the Executive Growth Program, by IESE and ESADE and finally won a cash prize of 50,000 euros in recognition as the best in its category, industrial innovation and sustainability, beating out more than 600 initial candidates in the process.